Before last night, I was familiar with most of the group through mutual friends or stalking their creative work through social media, but I hadn’t had the opportunity to officially connect with all of them face-to-face. I was a little nervous on the drive over; meeting new people always gives me butterflies, and they flutter more ferociously when I’m awestruck by their talent. Everyone was so gracious and welcoming, and I soaked up their creative energy throughout the night like a sponge. Before driving home, I called Chad and chattered away about all these new friends. And now I’m going to tell you about a few of them, too. Ashley & Andy of Indie Atlantic Films: These are the folks behind the poor porker video I shared last week. They’re a full-service video production company, and you can check out their other videos here. Andrea of SweetCakes Bakery: Ohhhemgee, what this sweet woman can do with homemade fondant. Her cake designs are impeccable, and equally delicious. Last night she made a flourless chocolate cake that was to.die. And she’ll probably kill me for throwing this out, but she’s going to be on Sugar Dome this Saturday at 1PM EST on Food Network! 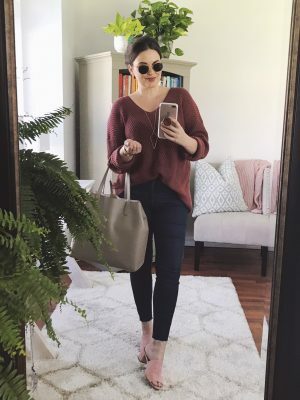 Courtney of Style by Courtney: Cathy introduced us a couple years ago, and we’ve stayed connected through Facebook. Courtney has a great eye for style, and can turn the most basic of outfits into stunners with well-placed accessories. Her latest venture is with The Lakelander magazine. Laura of Ashton Events: Laura takes wedding planning and event design to a whole other level. I’ve been lurking around her blog for a while now, so I was really excited to meet her. Just look at her gallery! Cathy is the driving force behind getting us all together, and I’m so grateful that she brought me on board to work on this exciting project. Thank you, Cathy! How do you get your hair so shiny bouncy wavy? It’s gorge! Just started Following you blog because I relate and enjoy every single post! Can’t wait for more to come. Follow me for Fashions ideas and randoms thoughts. 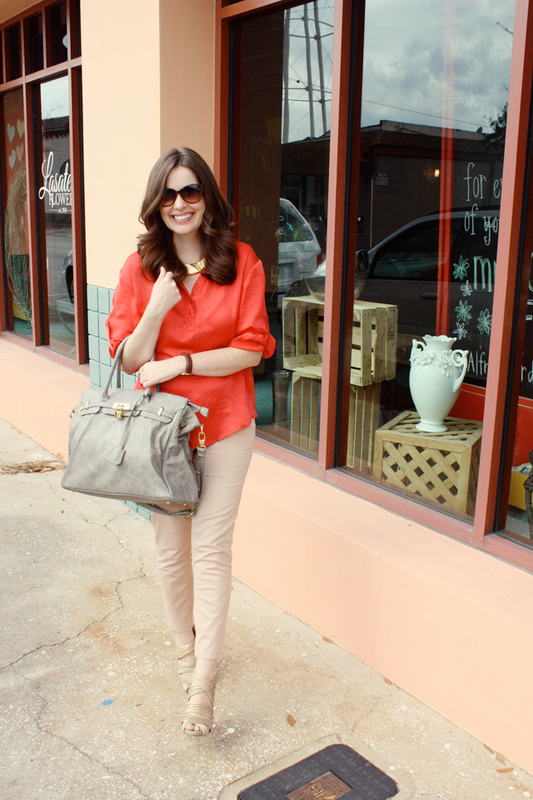 I love this simple, fresh outfit – the neutrals and pop of color are really pretty together. As I sit at my computer with lovely leopard snuggies on my feet, looking out into a snow-filled yard, I LOVED seeing your fresh outfit. Love the tangerine top! 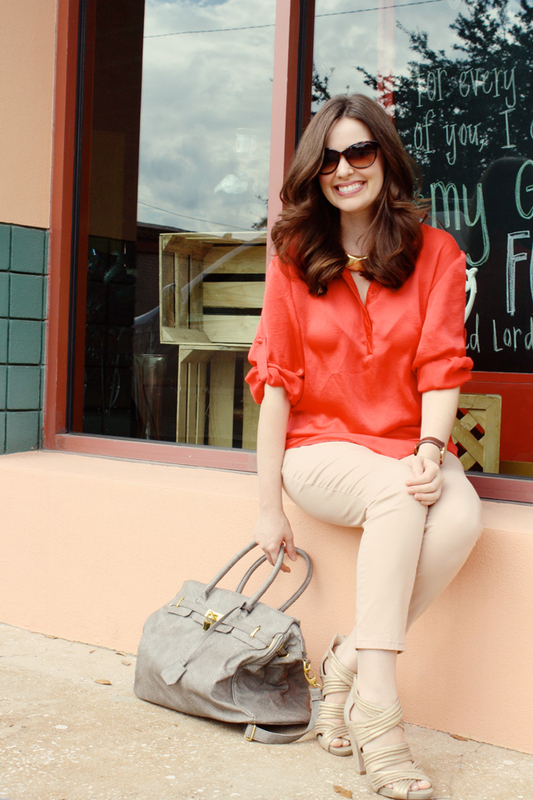 You look so lovely in this bright blouse! It’s beautiful against your dark hair…and those sunnies are really fun. Love your blog! I work at a flower shop also in Montana and it is not very often I see people who are younger working in this industry! So awesome! Yay!! I’m officially following 114-West so I can keep up with your style and flower adventures! So, I’m just here creepin’ on your blog like always when I see you mention getting to meet some great new creative people, which is always fun, but yes, a bit nerve racking…..it’s such a small world that I would know so many of the lovelies on your list! But just wait…the world gets even smaller…..My husband built that farm table you covet with his dad! That’s right, my hubs Matt Kent, is one of the men behind Pine-Stock! I just love reading (stalking) your blog and reading about your business and style, that you write in such a fresh and funny way! It’s wonderful to know that such a lovely blogger has had the opportunity to meet some of Lakeland’s very best creatives! Keira, you are the real deal! Believe me, these gals are probably singing the hallelujah chorus together, knowing that you’ll be helping with the project! Good for you! Have fun with it! I’m excited to watch the whole thing develop! I’m always nervous about meeting new people as well, but it sounds like a lovely group of ladies and a wonderful time. :) You look gorgeous and cheerful as always. xo. so cute ! these colors look great on you! Meeting creative talents is so exciting! And sometimes contagious too!